Telegram is one of the most widely-used messaging platforms, with more than 180 million people onboard. 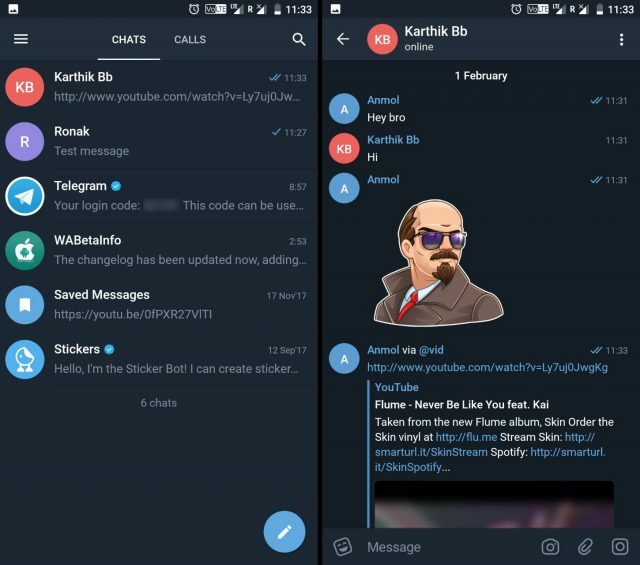 The users tend to gravitate towards Telegram over other messaging apps, thanks to the promise of ultimate security.But, the Russian giant is now gunning to make the experience even more snappy and intuitive for the users with the release of an experimental official client called Telegram X (Android, iOS). Oh yeah, this is possibly the year we’ll see letter ‘X’ attached to almost everything. Am I, right? 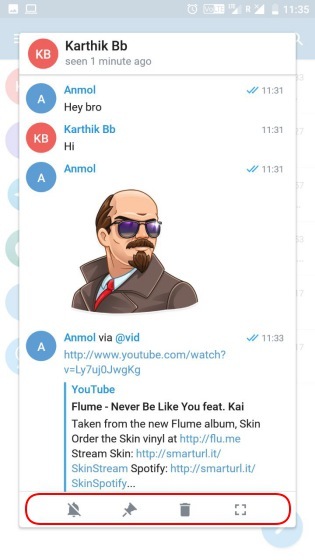 The Telegram X app is not your usual Telegram client covered in a new skin. Instead, the company says that it has been built from scratch and the app’s entire code base is brand spanking new. This app packs all basic messaging features you see in a Telegram client. This is also the reason that it does not include support for legacy components of the older apps, but does bring a bunch of experimental features to the table. One of the most interesting features of Telegram X, that I guess every user would appreciate, is chat previews. You can long-press on any chat and wait for a pop-up with the new messages to appear atop the conversation list. You also get a simple toggle to switch to “Night Mode” in the hamburger menu on the left and an abundance of swiping gestures that make it easier to navigate Telegram X. You’ll be able to swipe left or right in the conversation list to switch between chats or calls. You can also swipe on individual messages to either share or reply to them. And if you’re thinking that’s all for the new features, nope it isn’t. You also get optimized profile pages, where Telegram X grants you quick access to all your share media files. The app also features a redesigned music player and a direct option to access inline bots in an ongoing conversation. An interesting tidbit about Telegram X, reported by Android Police, is that the app has not been developed by the team at the Russian giant. This client is a rebranded version of an alternative called Challegram, which Telegram had acquired a while back. Telegram X has been launched on both Android and iOS. From the looks of it, the company is now looking to reinvent the appearance of its age-old client and Telegram X looks quite promising to me. I’ve been using the new client since it launched on the Play Store, and it definitely feels faster and easier to use. I wouldn’t mind if the company eventually decides to replace the original Telegram client with this one. So, go ahead, try out Telegram X and share your experiences with us in the comments below.